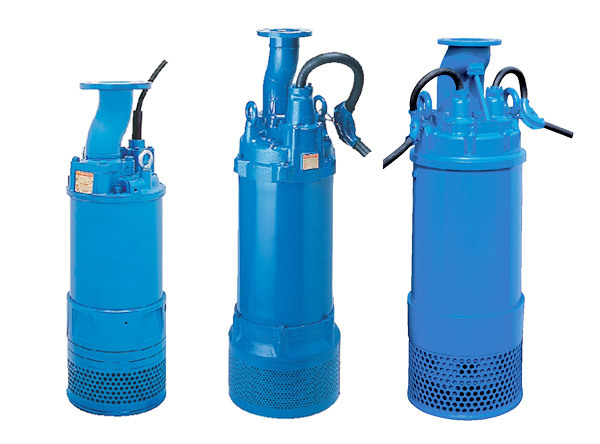 The LH-series is a submersible three-phase cast iron, high head, drainage pump. The pump is cylindrical and slim and can be installed in a well casing for deep well dewatering. The central discharge flange allows the pump to be “hung” on the discharge pipe. The top discharge, flow-thru design provides maximum motor cooling efficiency, allowing continuous operation at low water levels and extended dry-run capability. The pump incorporates seal pressure relief ports that relieve the pump pressure before it reaches the shaft seal. 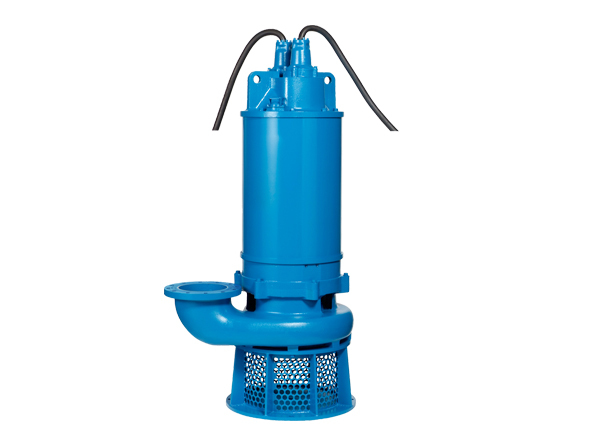 The GSZ-4-series is a submersible three-phase, cast iron, high head, high volume, heavy-duty drainage pump driven by a 4-pole motor. The side discharge, spiral design allows smoother passage of solids which reduces abrasive wear. The motor is cooled by a water jacket that gives efficient motor cooling even when the pump operates with the motor exposed to air. The pump incorporates seal pressure relief ports that relieve the pump before it reaches the shaft seal.